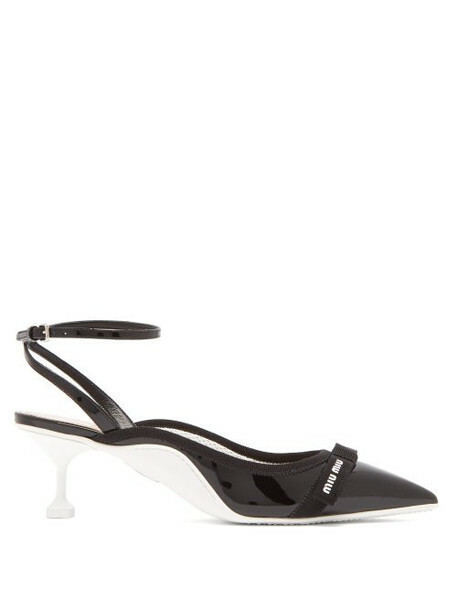 Miu Miu - Miu Miu's black patent-leather pumps emulate the label's contemporary take on feminine styles. They're made in Italy with point toes, square-base kitten heels and white rubber soles, then finished with the label's logo-printed grosgrain bows and white mesh lining. Wear them with a high-neck blouse and mini skirt for an eclectic edit.